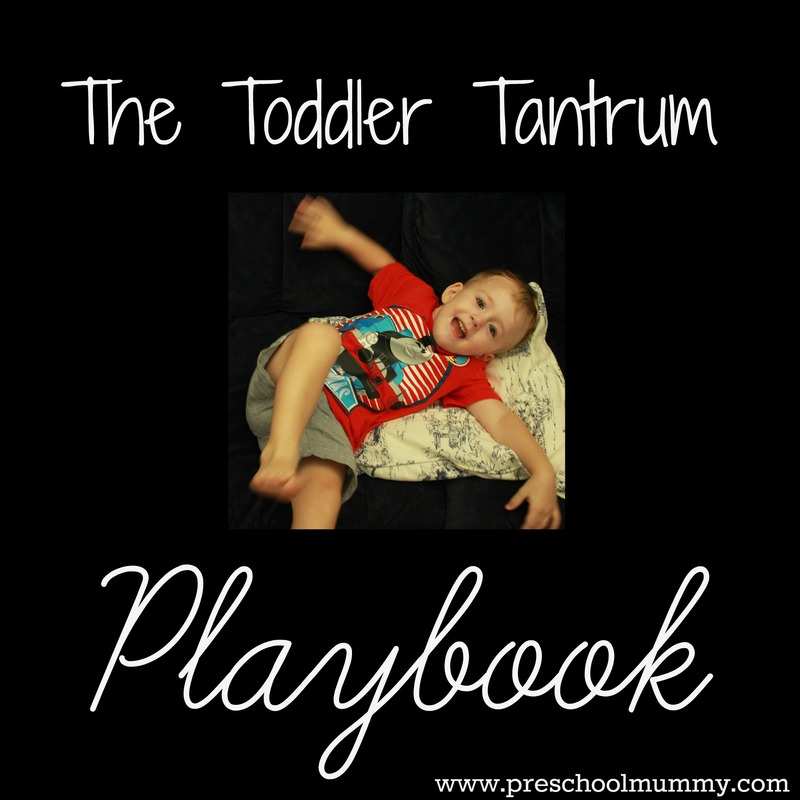 The Tantrum Playbook – by guest blogger, Buggy. The “I want a Chupa Chup at the Woollies checkout”, the “I don’t want to go nigh night”, and the “My legs are tired so I’m going to lay down in the middle of a zebra crossing while you’ve got your arms full of baby and bulging grocery bags”. It’s time to take it up a notch, guys. You’ve been resting on your laurels far too long. I’ve dedicated my whole life to learning the art of tantrum-throwing from the master my older brother, through careful observation and training. I’m now ready to impart my wisdom. Here are my top plays in no particular order. Take your pick. I wanted to follow the garbage truck in the car as it wove throughout suburban streets stopping every ten metres. I don’t care to know the potential dangers of tailgating a heavy vehicle at moderate speed, or how late we are for kindergarten, I want to see rubbish bins being hoisted into the air, upturned and emptied. I want to smell waste, dammit! Don’t you dare drive past Mummy. Don’t. You. Dare. I don’t like the way the neighbour’s cat’s looking at me. There’s something sinister in its eyes. It’s trying to intimidate me. I better sit down in the driveway and refuse to get in the car. When you finally wrestle me into my car seat, I’ll press my electric window button down and scream out “NORNEE CAAAAT!”, as you drive out of our cul-de-sac. Who says we can’t talk to the animals? I have to be reeeeaallly really tired. Preferably I’ve skipped a nap. It helps if my mother’s also on the brink of exhaustion. Then I choose a fact of life I’m not 100% content with, and run with it. By the time Mummy has rationally explained why that mildly unsavoury but necessary fact must be, for a third or fourth time, I know I’ve nearly struck gold. Perseverance is key with this play. Perseverance will pay off. I was looking at a particular toy and then HE picked it up and started playing with it. It’s like he just knows how to push my buttons. Who cares if I hate that toy? I was staring at it, so it’s rightfully mine. I’m going to lay down on the tiles under your feet as you prepare dinner and thrash about like a hooked mullet. By the way Mum, that reminds me, I need a hair cut. I’m growing a mullet. Cue next tantrum. Oh my God an atrocity has been done to me! A woman with scissors has cut off my golden blond locks and they’re now laying all over the floor of her shop. And now another one is sweeping them up! What the hell do you think you’re doing, lady? Where are you taking my beautiful hair??? You will pay for this. No babycino bribery can compensate my loss. My haircut’s not finished but I will now proceed to straighten my legs, slide out of my chair, flop to the floor and roll around trying to scoop up my wisps of hair before they’re gone forever. The hairdresser will refuse to continue. You’ll still have to pay. You will then pretend that my half-shaved, half-trimmed, under-cut/mullet/frullet ‘do is a trend statement for the next few weeks until it grows out a bit and people stop commenting. My mummy has cut my sausage into little bite-sized pieces. And I didn’t want her to do that ! So I will now proceed to totally lose my sh*t. I will scream “put it back together!”, hundreds of times. Don’t try to get me a different snag off the barbie. That is simply unacceptable. I want this exact sausage reconstructed with the precision and accuracy used by Kim Kardashian’s plastic surgeon. I don’t want to wear a nappy. I don’t want to wear undies. I certainly don’t want to wear shoes. I want to go to the shops wearing only a t shirt and shorts, nothing more. No, you say? Oh, you’re gonna regret that! Tantrum commences in 5,4,3,2,1…. Actually, more accurately, the Dummy Throw. I stand in the hallway yelling at my mother. I’ use my arms to flail about in a demonstrative way. I have a very important point to prove here! But I still have my dummy in my gob rendering my already difficult to understand angry babble near impossible for her to decipher. In sheer frustration I take out my dummy, throw it at her head. I usually aim for right between the eyes. Sometimes in the field, there’s collateral damage. We must accept that younger siblings, mummies, and indeed ourselves are all in the crossfire. I’ve banged my head on nearly every wall in our house by toppling over mid tantrum (guys, our toddler heads are disproportionately big, and our balance is still developing, so be careful with your noggins, ok? You don’t want to knock yourself out.) If you want to go all-out for the greater good, don’t be afraid to take one for the team. Pain is temporary but victory is lasting. So come on guys, let’s get a little creative hey? I know you can do it if you really put your mind to it! What’s your favourite Tantrum Play? Get your Mummy to write it here for me, okay? *Image credits embedded in pictures, click on pic for the direct link. Previous Post Media Kit is go! Next Post They don’t call it a Wondersuit for nothing! Funny! My boys are constantly fighting over toys and because they’re twins we usually get 2 of the same thing – but they always want the one that the other has! Hahaha!!! Yes I do recall. Will have to ask Buggy to include that play in the next edition of the Tantrum Playbook! So much for rotten tomatoes, chuck something heavy enough to really make an impact! This is an original post on tantrums. Love it. I have three children ages 8 girl, 5 boy, 2, boy and am pregnant in the 4th month. This is a piece of reality out of my life, but making me laugh. Keep up the good work. The ‘Can’t Handle the Truth’ and the ‘Can’t Touch This’ are definitely the ones played in our house!